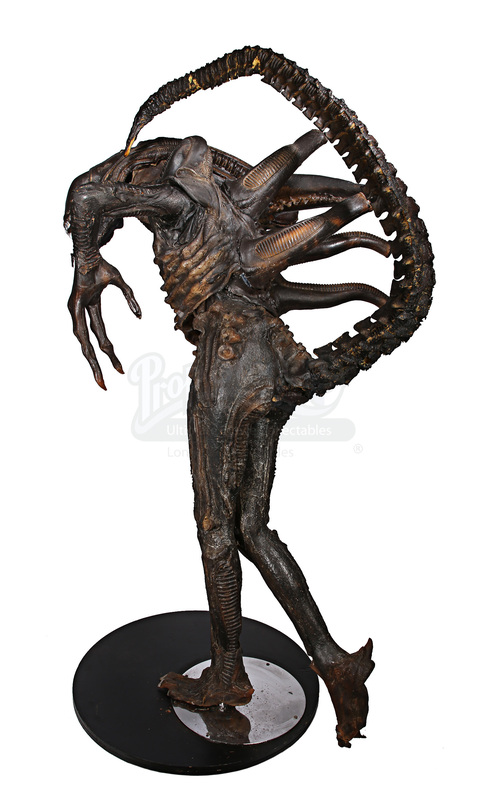 A full-body replica Alien costume, made from the original moulds used in the production of James Cameron's 1986 Aliens - the classic sci-fi action sequel to Ridley Scott's Alien. 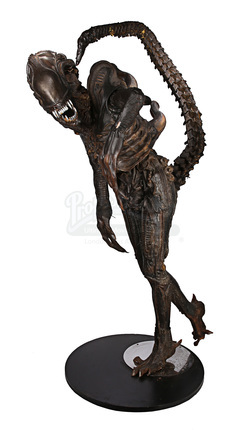 The insect-like Xenomorph was conceptualised by Swiss artist H.R. 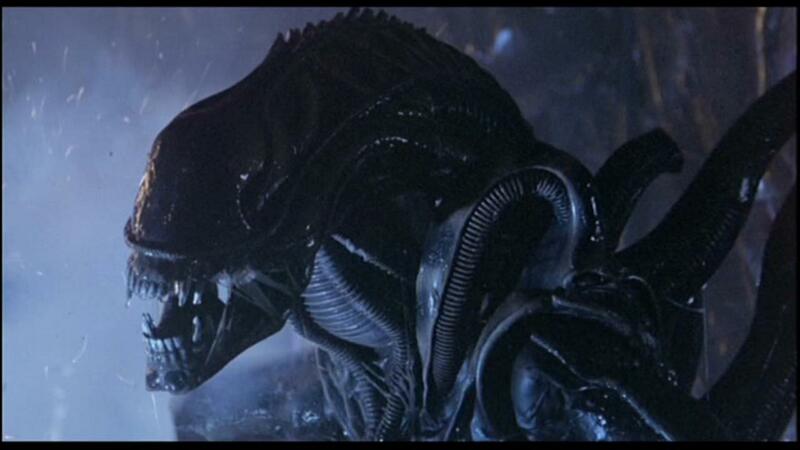 Giger for Alien, but the design of the onscreen Xenomorph was simplified between Alien and Aliens, for several reasons. 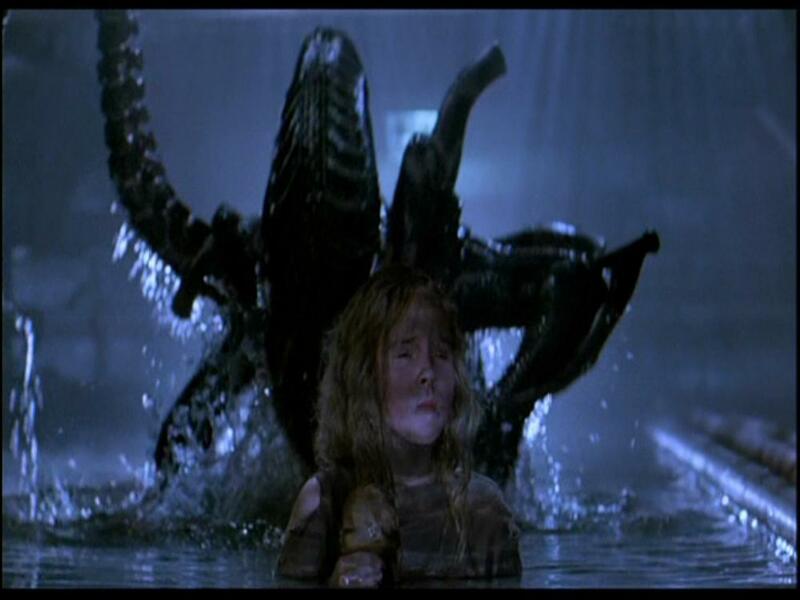 Director Cameron wanted more shots of how the creatures moved, whereas in the Alien the creature moved predominantly in darkness with few full body shots. 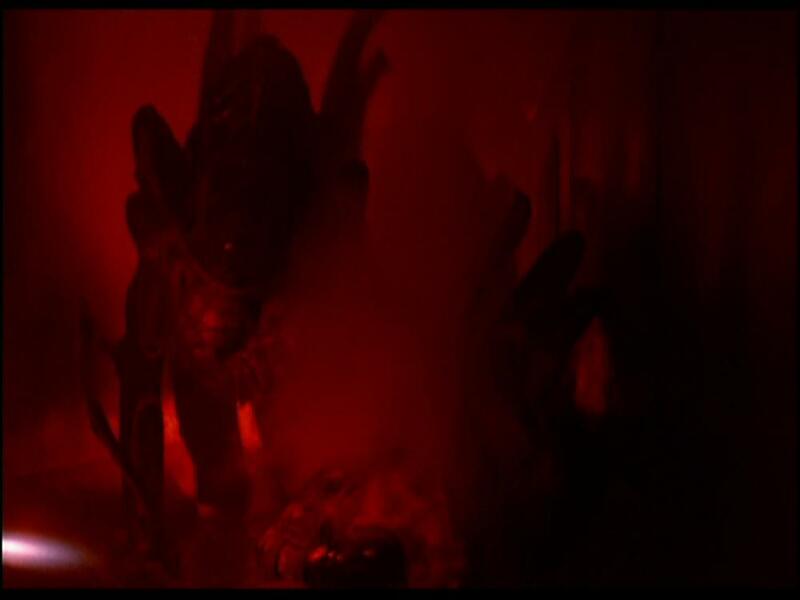 His sequel also involved more creatures which moved faster and often attacked in groups, so they needed to be more durable for the actors wearing the suits. 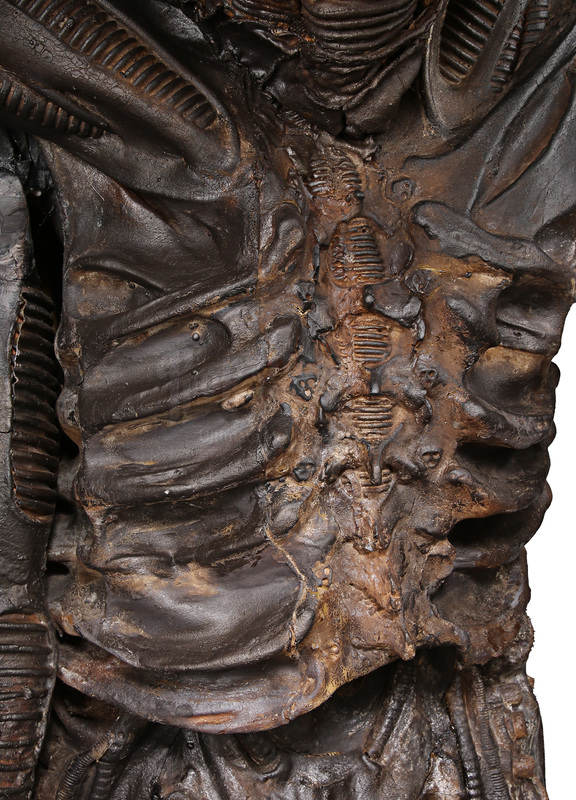 The process of making and painting the costumes is covered in detail in the fascinating 'Making of Aliens' documentary, which showcases the moviemakers' thinking behind the Xenomorph design and other items created from the moulds. 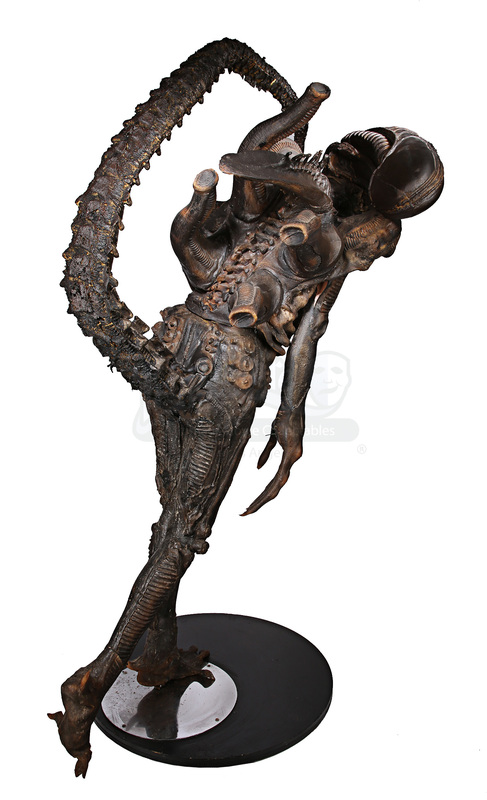 Characterised by the iconic domed head, ferocious fangs and scorpion-like tail, this faithfully-recreated Xenomorph costume is mostly made of hand-painted foam latex stretched over a wooden mannequin, which is attached to a custom metal and wood plinth. 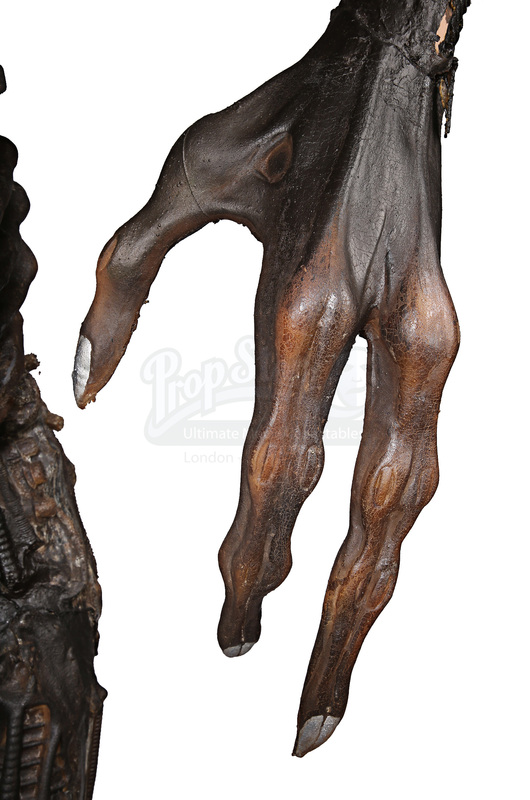 It features small areas of hardened resin, most notably on the arms, and the hands and feet are made from rubber. 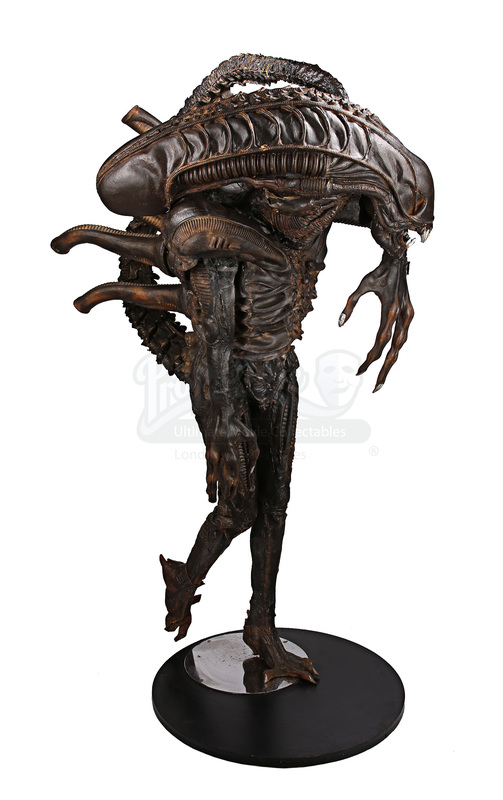 The head is detachable and made of foam latex. The costume shows some signs of degradation resulting from age and storage - some of the paint and latex is cracked and there is a small hole on the left arm where the wood is exposed underneath. 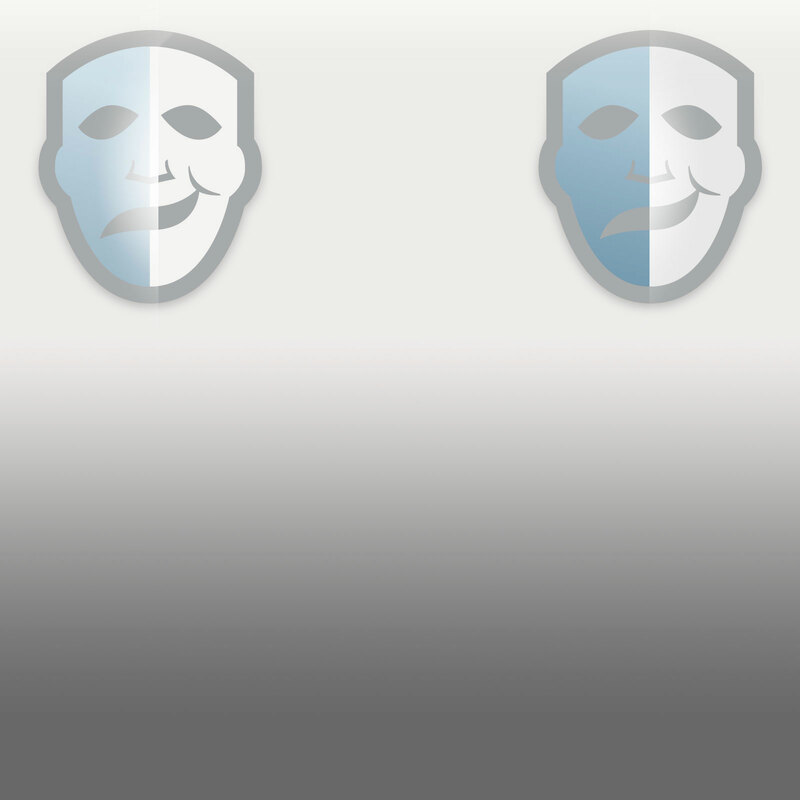 Glue reside appears on some of the seams, and on the head a patch of black material covers a hole under the chin. 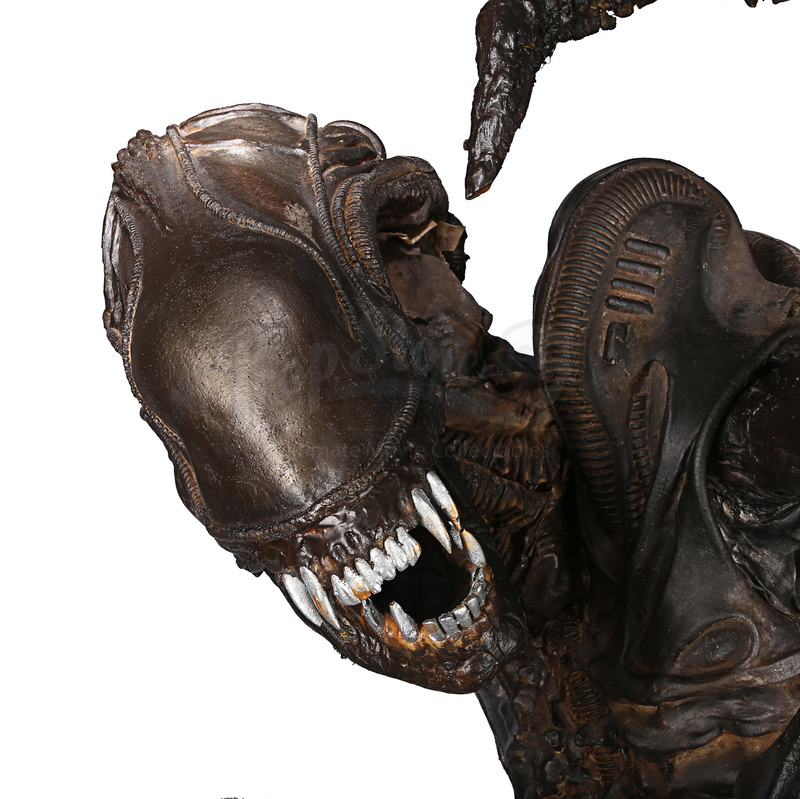 The Xenomorph is painted black, with lighter colours added for detailing. 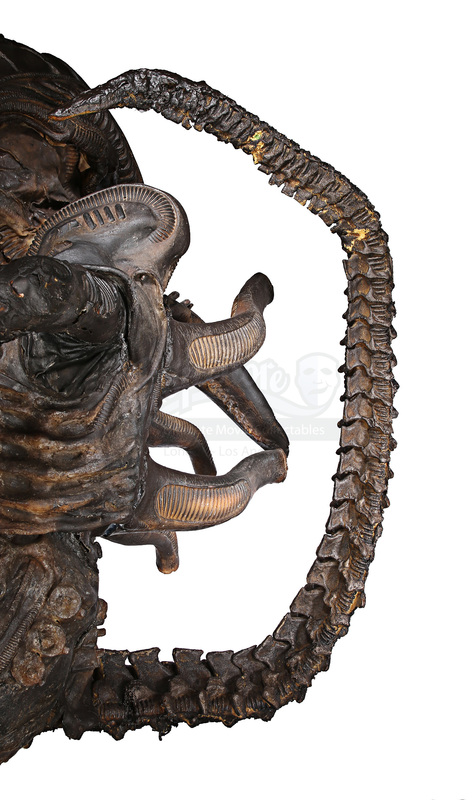 The teeth and claws are predominantly painted silver, with some gold paint also on the teeth. Despite the wear described above, it remains in a good overall condition. Materials: Ferrous Metals, Wood, Man-Made Fibres, Foam Latex, Resin, Rubber.